Carbs are the new calorie – the thing to avoid or lower in effort to lose fat. Because of the fat storing hormone carbs trigger (insulin), this is a great shift from calories to carbs. And low carb does work for most women. But what doesn’t work about other diets – i.e. low cal or low fat – still doesn’t work for low carb. It’s still one size fits all. A “Low Carb” Diet Could be too Much or too Little for You. And let’s be honest, having one more diet strategy that doesn’t work leaves you failing yet one more diet – and losing faith in yourself that you’ll ever be successful. And that’s more damaging than carbs! Low carb is relative. What’s low for someone may be too high for you. So it’s not about “to low carb or not”, but rather to eat the right amount of the right carbs for your individual metabolism. 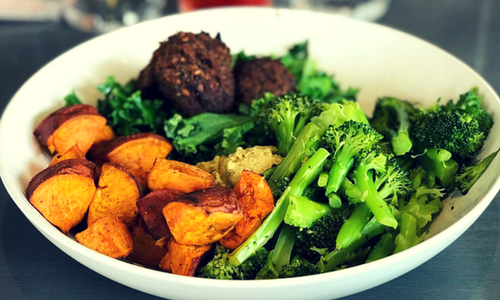 Carbs that are considered good are usually the whole grains (think brown rice and the newly beloved quinoa), sprouted grain bread, and root veggies like sweet potato. Bad carbs are those processed carbs that come in a bag or box – and most of us didn’t need to be told those aren’t the best for our health or our waistline. The problem with this paradigm is that even the so called “good carbs” cause an insulin release – and it’s insulin that can stress our blood sugar control and increase fat storage. 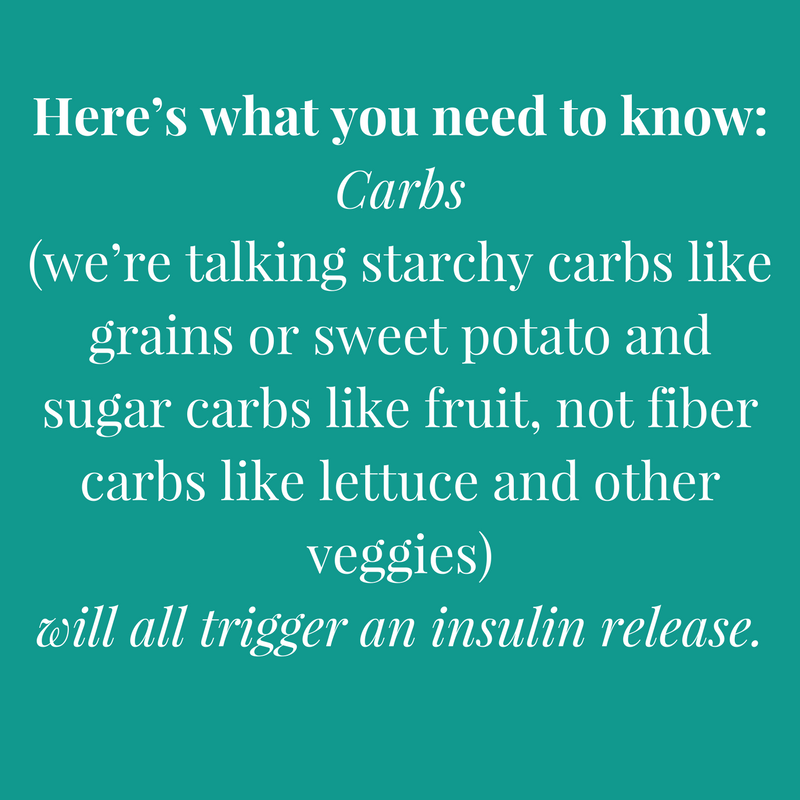 Here’s what you need to know: carbs (we’re talking starchy carbs like grains or sweet potato and sugar carbs like fruit, not fiber carbs like lettuce and other veggies) will all trigger an insulin release. Yes, junk food like white bread triggers it worse than whole grain bread, but it’s still a big insulin release and thus a big fat storing message. So whether or not a carb is good or bad is less useful to you than knowing your UCT (unique carb tolerance). This should dictate which carbs you eat and how much of them you eat. Thus good/bad and low carb/high carb advice means nothing if it ignores your UCT. Knowing how your body responds to different types and different amounts of carbs is the key to you having success losing fat – forever. Your body’s hormones determine if you burn fat or store it – so you have to learn the signs that it’s in fat burning or fat storing mode. 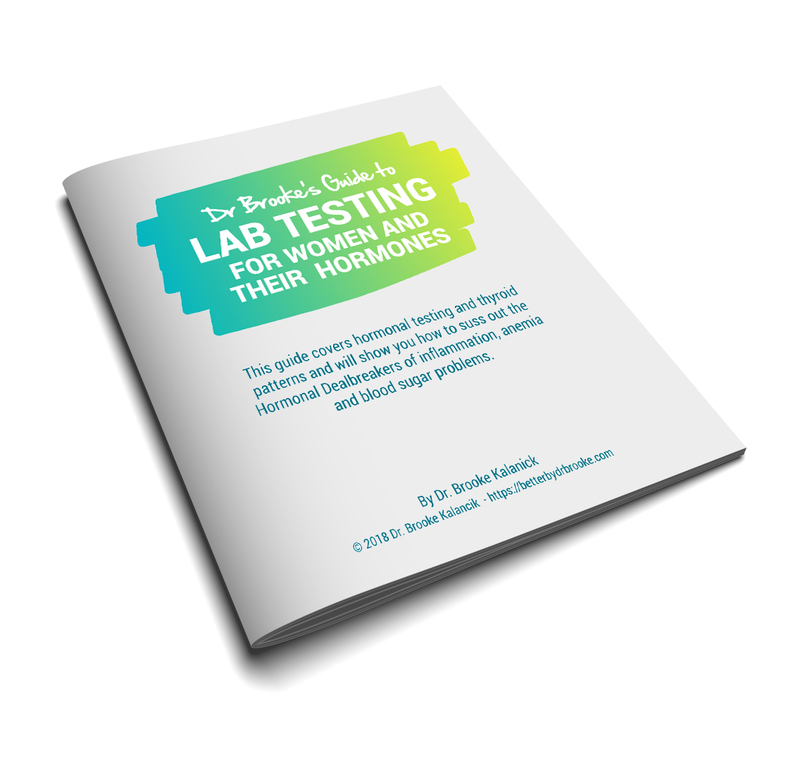 Your hormones will change over time – post baby, menopause, etc. – and even day to day. Notice how carb crazy you are after a night of no sleep? Or before your period? But if you can read the signs you can make the necessarily adjustments any time, any place. This doesn’t mean starch/sugar carbs have no fiber, it means it’s starch or sugar load outweighs it’s fiber content when it comes to insulin and blood sugar response. Fiber carbs are vegetables – any greens, cucumber, asparagus, celery, broccoli, cauliflower, you get the idea. 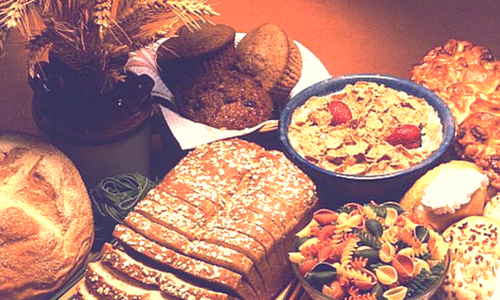 Starch/sugar carbs are all grains, all grain based products (breads, cereals, pastas, etc. ), all legumes (kidney beans, soy, etc.) and all root veggies (beets, sweet potato, turnip, etc.). As far as fruits go, again it comes back to fiber. Highest fiber fruits are apple, pear and berries. Lowest fiber fruits (aka: highest sugar) include melons, grapes, tropical fruits and banana. Other fruits are somewhere in the middle. How Do You Find Your UCT? You simply tune into your body and listen to what it’s telling you about how you reacted to that type of carb and that amount of carb. Watch symptoms after you eat (more on this here) a particular amount of a particular carb (i.e. ½ cup sweet potato). Are you sleepy, craving more carbs or more food, does eating carbs or sweets not relieve that craving? If so this was too much of this type of carb for you. Eat the same meal next time with say 1/3 cup sweet potato and see how you do. Note: You can use measurements such as a 1/2 cup if that works for you, but most women prefer to use bites simply because it’s easier and you can do it anywhere such as in a restaurant. A 1/2 cup is roughly 4-6 bites, so if that strategy works start with 5 bites or so and adjust from there. On the flipside, if you find that with ½ cup sweet potato you feel fine but then are ravenously hungry, irritable, cranky or lightheaded within 1-2 hours then that particular amount and type of carb didn’t work so well for you. Try it again with more and see what happens. More troublesome carbs include anything with gluten because of its inflammatory proteins and super starch (amylopectin). For many, they tolerate little to no gluten containing carbs when they start to pay attention to these symptoms. And worse, gluten can be a sabotage food for many leaving them with cravings and low energy for days. Dairy is another tricky one. Because of its insulin response, I put dairy in the starch/sugar category – weird I know, but think of it this way and test it out like all the other carbs: You have to be a bit of a detective – but the tradeoff is knowing exactly what foods work best for you and how much of them you need to keep appetite, cravings and energy in check as well as getting fat loss results. Pick one starch or fruit and eat it with the same combo of protein, fiber and fat. Mixed green salad dressed w/ olive oil & vinegar, 4oz chicken breast ½ cup or 6 bites of sweet potato Watch for symptoms above immediately after eating or 2 hours after eating. If right after eating you get symptoms of sleepiness, craving for coffee/stimulants, cravings for more starches or sweets, try cutting the amount of sweet potato back at next meal of mixed greens salad and chicken. If you get symptoms 1-2 hours after eating of cravings, ravenous hunger, irritability, lightheadedness, cranky, etc. then at the next meal up protein slightly, up fiber slightly (i.e. bit more chicken and bit more greens) but do not adjust carbs yet. If this doesn’t relieve the issue, add a touch more healthy fat (olive oil or avocado to the meal we’re using as an example, or a few nuts). If none of these work, then up the sweet potato by 2 bites. Continue this experimental eating for different types of carbs and different amounts. This may seem tedious, but most women find they get in tune with these symptoms within a couple of days and can then infer how they will feel for multiple foods based on one food reaction. For example, I can tolerate about 2 bites of gluten free grain whether it is quinoa or brown rice. I can tolerate about that same amount of legumes but sweet potato – although I love it – makes me crave more sweet potatoes no matter if I have 1 bite or 10. Making this a sabotage food for me, sniff. You will notice that if you’re trying to do this for more processed foods like breads and sugars then your symptoms will be more severe – why these foods made the “bad carb” list in the first place. But you’ll also notice that you’ve got some unique tendencies and while some nutrition expert may say legumes are the best carb out there, you may not do so great with them. With the exception of sugar, no carb is really “bad” but rather not the best for you and your goals. And you will likely have some of those bad carbs on occasion so get out of the good/bad model and into the “no one’s just like me” mindset. Get yourself a journal or notebook and make some notes – you’re literally learning your chemistry and seeing what makes it work better or worse. Writing it down in real time – although a pain in the rear – is far more accurate and effective than trying to recall if you were cranky because of your lunch or your boss an hour after you ate. Certain conditions such as Hashimoto’s Hypothyroidism, other autoimmune diseases, stubborn acne and PCOS tend to do better off all grains and legumes because of their lectin content, which along with problematic proteins (i.e. gluten in many grains) causes significant inflammation and immune activation for them. Same is true for these folks and dairy. “But Dr Brooke, it’s Greek yogurt oh so healthy? ?” Repeat after me: no one’s just like me. I recommend if you have any of the conditions I just mentioned that you do a thorough elimination diet for at least 45 days (or until symptoms resolve) and then challenge back in different grains, dairy, legumes, etc. and see how you react.